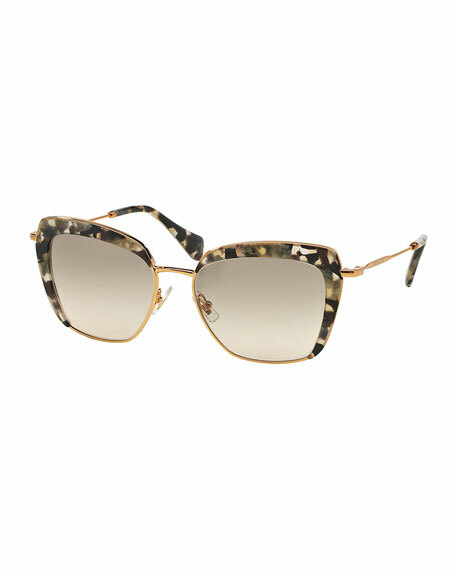 Rectangular cat-eye acetate and golden metal frames. Miu Miu, from Miuccia Prada, made its debut in 1993, and the offshoot of core collection Prada has become a star in its own right. Miu Miu is an outlet for Ms. Prada's avant garde imagination. The collection includes ready-to-wear, shoes, handbags, and accessories. For in-store inquiries, use sku #273113.